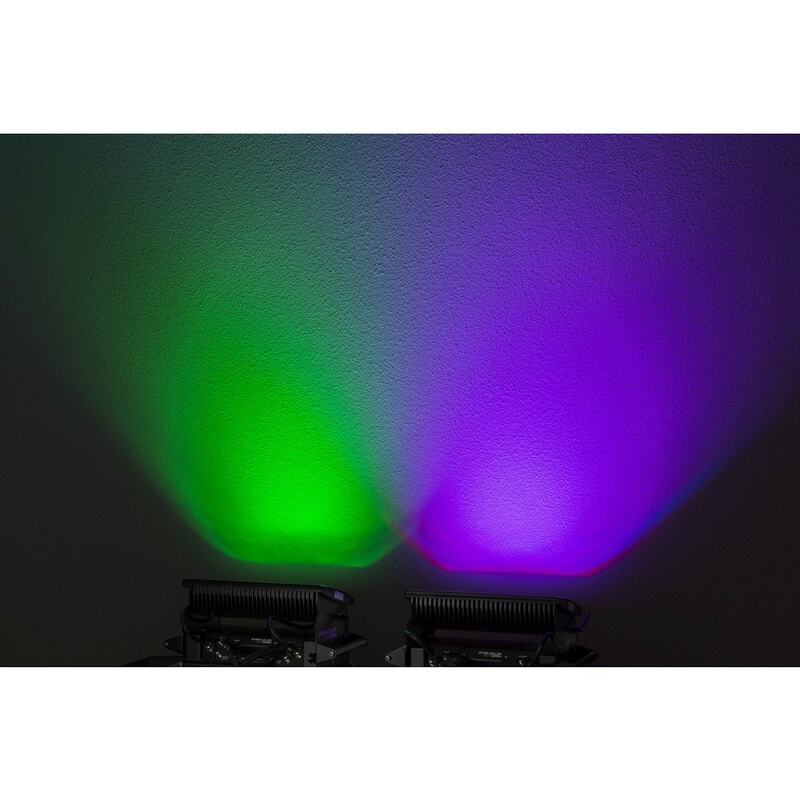 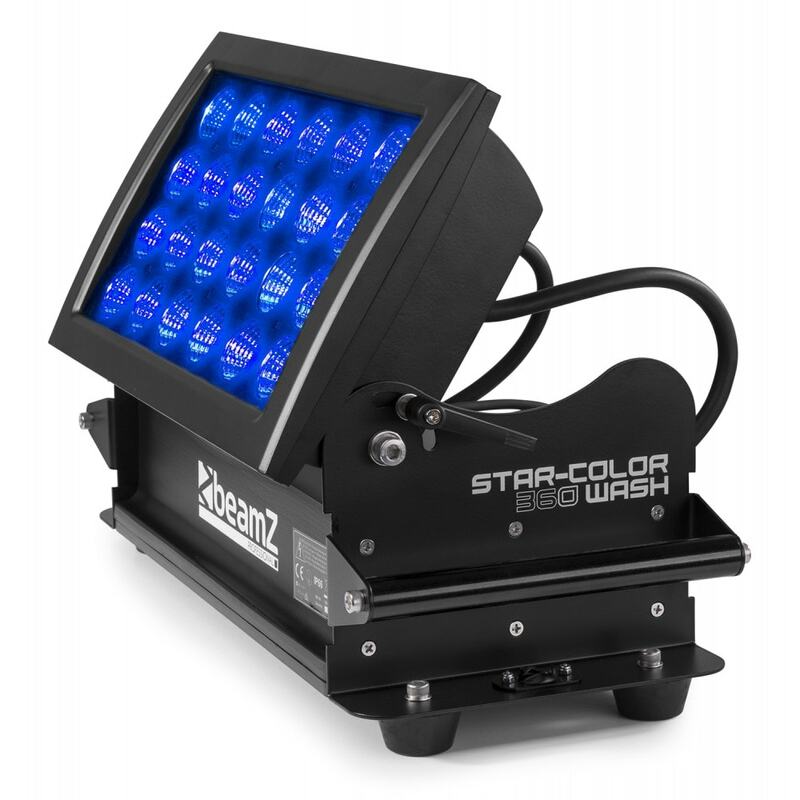 The Beamz Star Color 360W is a professional LED Architectural projector, designed for refined wall-washing applications. 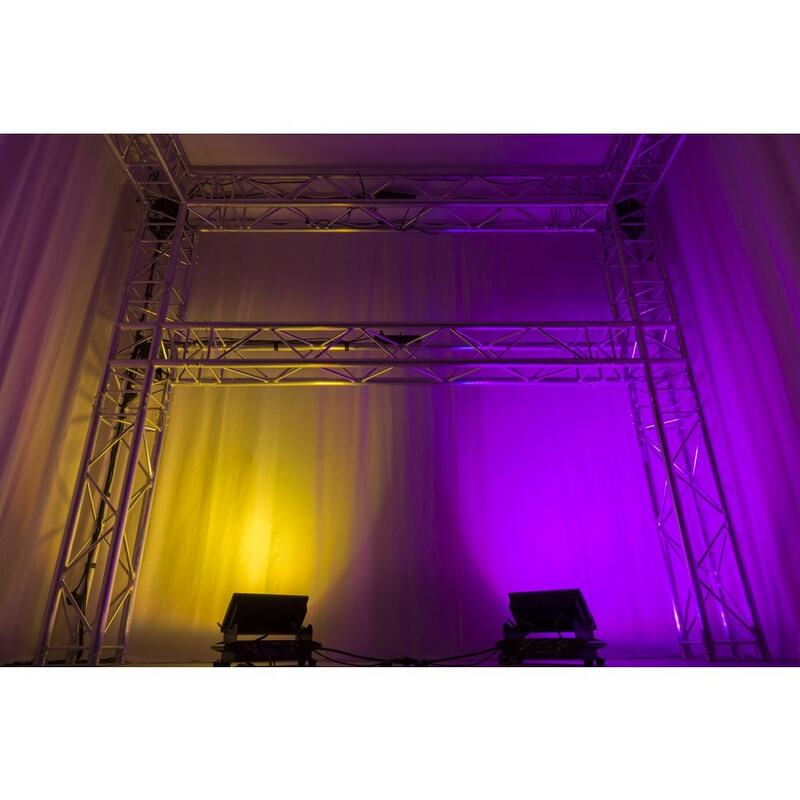 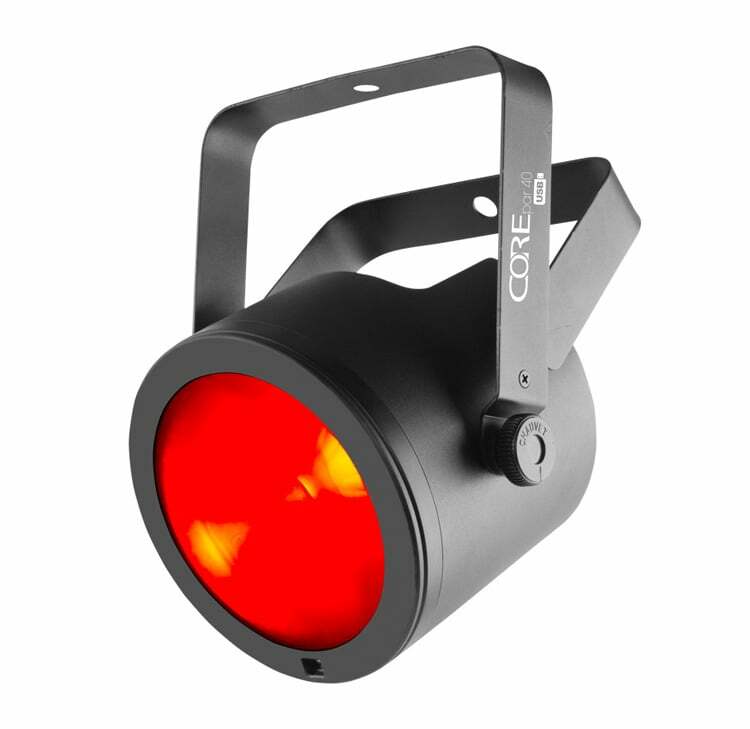 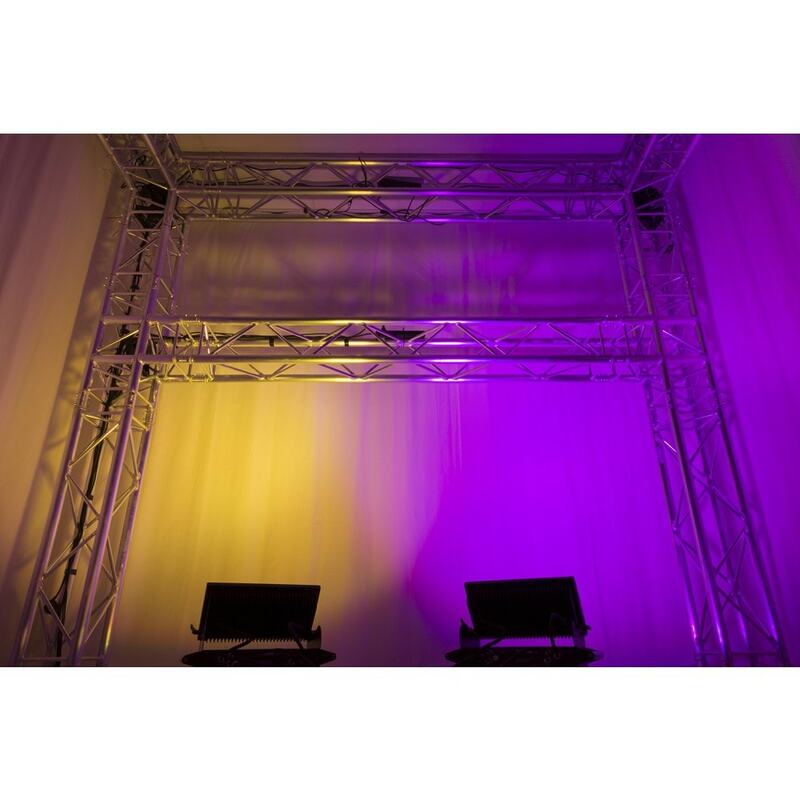 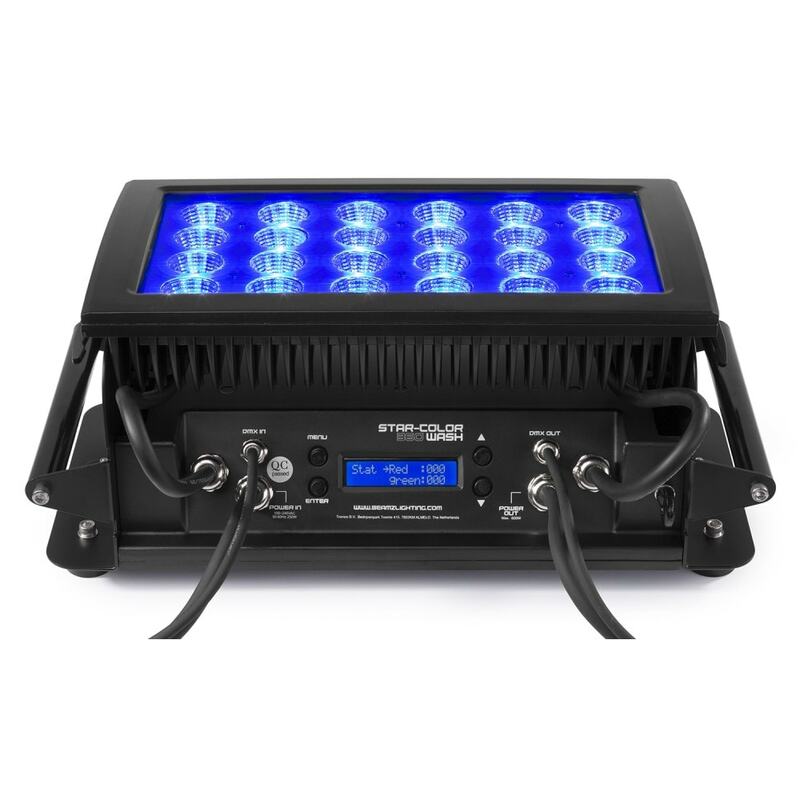 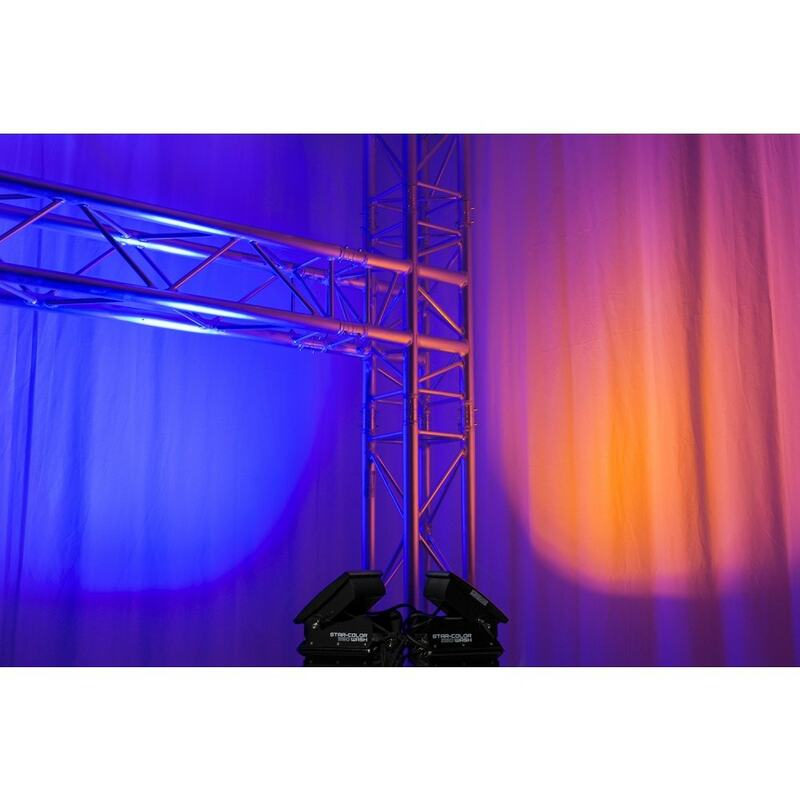 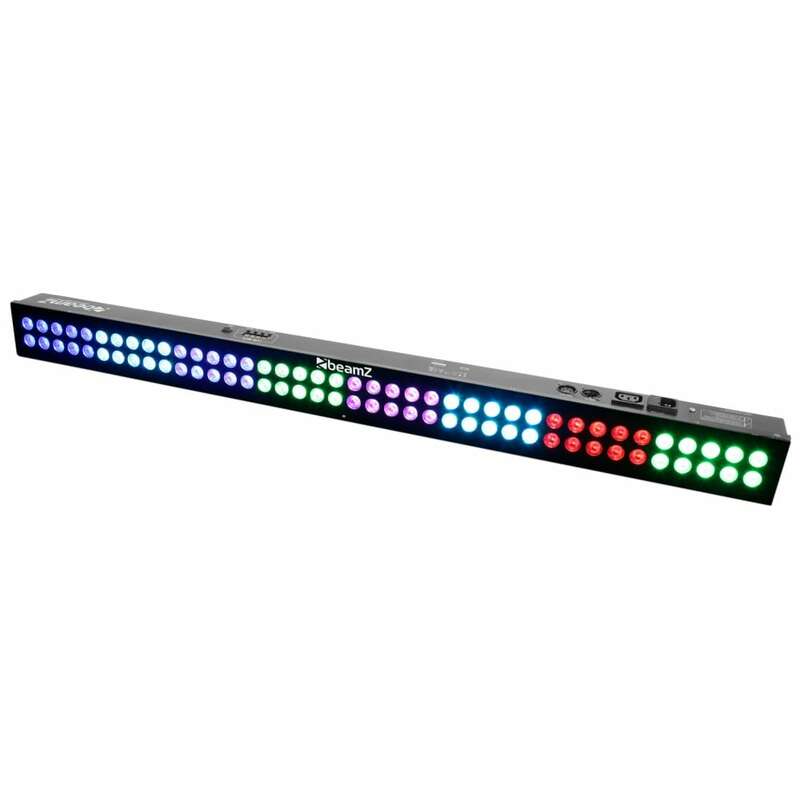 Powered by 24x 15W bright 5-in-1 LEDs with RGBAW colour mixing. 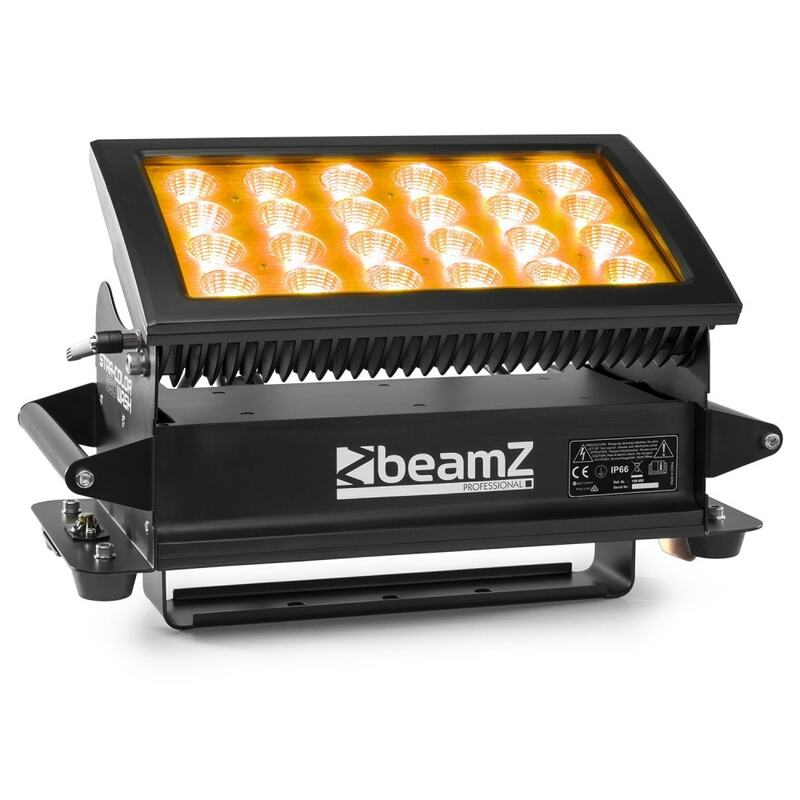 This impressive and robust LED fixture is IP66 rated against dust and water making it perfect for outdoor installation or applications where it may be exposed to the elements. 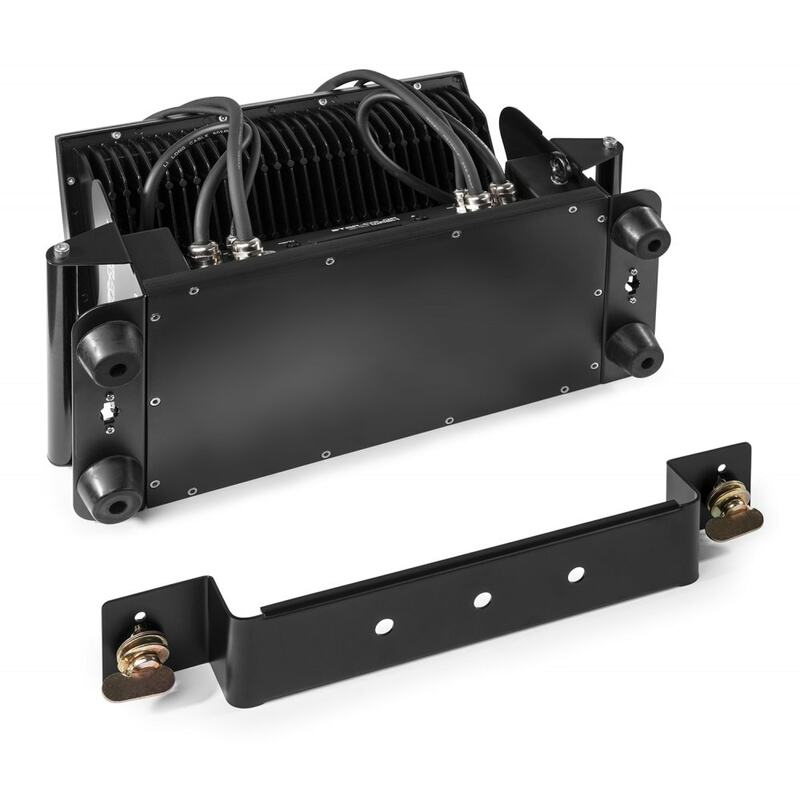 A heavy-duty construction of die-cast aluminium and tempered glass ensure great durability and is a completely sealed system with convection cooling (no fans). 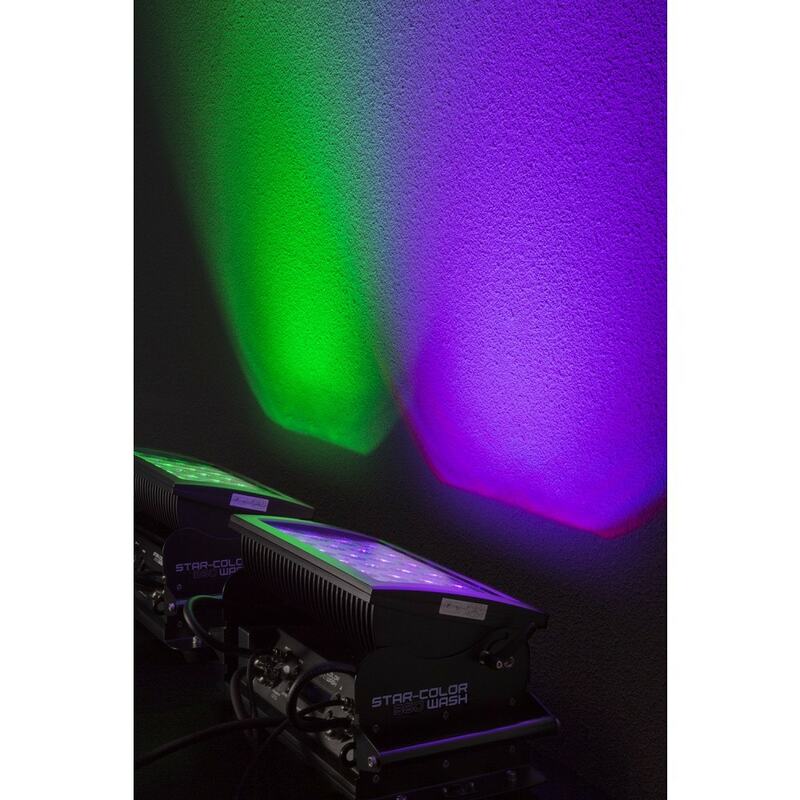 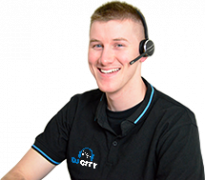 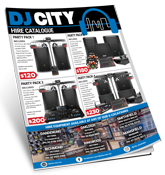 Perfect for colour washing buildings, walls, and larger areas both indoors and outdoors. 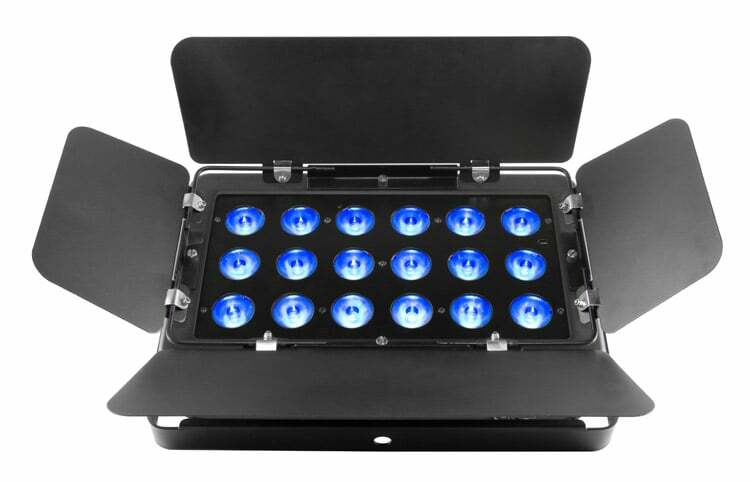 A custom flight case is available (Star Color Case) which make transporting and storage a breeze, while also offering added protection for your fixtures between your events/productions.